Justine Joy Pitzer 93, went to her eternal home, February 6 after lovingly being cared for by her sister Anita Owen, at Anita’s home in Greensburg, Pennsylvania. Justine was born in Hilltop, Kansas to Una and Edward Sauder. After graduation from High School she attended nurses training and served in the Army Nurses Corp in late 1945. She worked in Wichita, Kansas and Kansas City, Mo. until her marriage in 1958 to Darrell Gunn where she resided in Kansas City until moving to Mullins, SC and then N. Myrtle Beach, South Carolina. Darrell passed away in January 1999. She found love again with Bob Pitzer, whom she married in January, 2000. 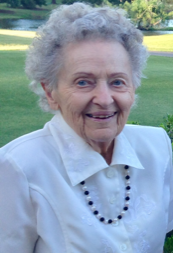 Justine is remembered by family as a hard worker, a natural care giver, one who truly enjoyed life around her, always giggling at things, very athletic, playing golf and bowling into her 80’s. She loved to entertain where she always had a snack, including shrimp and crab for happy hour. She crabbed and shrimped into her 80’s. She was proud to tell others she was licensed private pilot. She had a very loving heart, embracing both of her husband’s families as though they were her own, offering unconditional love, encouragement and generosity. She cared for Bob until his death in March 2015. Many golden memories will linger for family & friends who visited her at the house on 43rd Street in Cherry Grove, SC. What an amazing gift of memories she has left us. She was a long time member of Ocean Drive Presbyterian Church in North Myrtle Beach. She and husband Bob donated money for the completion of a Memory Rose Garden for member’s ashes to be buried where hers will be placed for eternity. In addition to her parents and husbands, she was preceded in death by her older brother Glen. She is survived by sisters, Anita Owen of Greensburg, PA and Marilyn Halsey of Topeka, KS, and brothers, Norman and Larry of Wichita, KS. Surviving step children include Donna Shipp of Atlanta, GA, Judith Axelson (Gene) of Sun City West, AZ, Peggy Lively (Gerald) of Arlington, TX and Russell Gunn (Hildegard) of Napa, Ca. There are also 7 grandchildren and 12 great grandchildren. The family would like to extend their deepest thanks to all of the caregivers and Promise Hospice for their invaluable support and assistance this past year. Honoring Justine's wishes, services will be private. KEPPLE-GRAFT Funeral Home is entrusted with the arrangements. For online condolences and information, please visit www.kepplegraft.com.